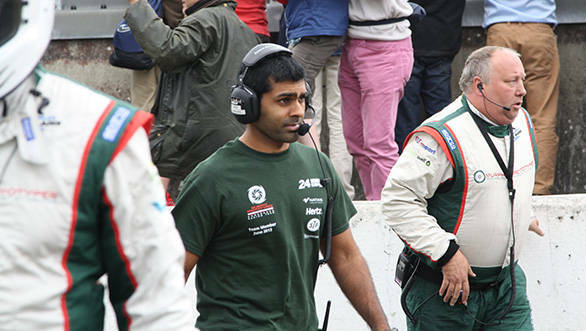 Karun Chandhok's no stranger to Le Mans. After all, last year he competed in the LMP1 category with the JRM team, who finished sixth overall and was the second of the privateer cars. 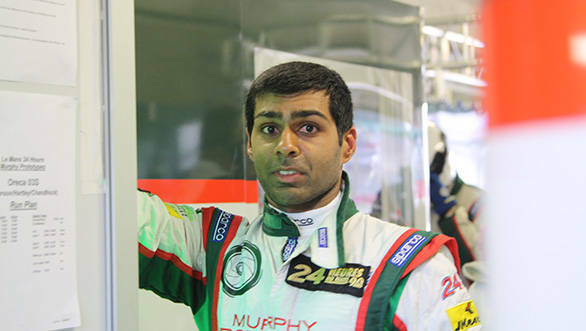 For the 2013 edition though, Karun found himself piloting a Murphy Prototypes LMP2 car alongside Brendon Hartley and Mark Patterson. The team didn't have the easiest time, with an ECU change during the early stages of the race. Add to that the fact that Patterson was nudged into the gravel by a Porsche GT car and the team was dead last in 37th position. This meant that Karun had his work cut out for him when it was time for his stint. With Karun putting in a stellar effort, driving between 2:20 and 6:30am, and lapping fastest of the LMP2 cars at night, the team climbed back into the top 10. 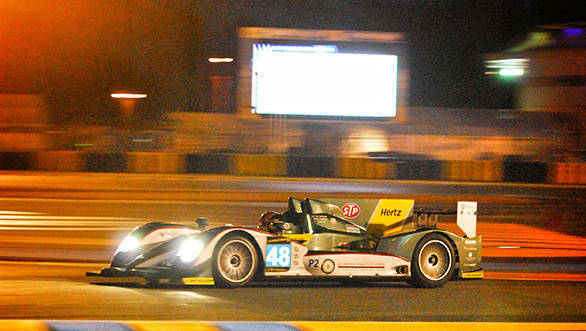 They eventually finished seventh on track in the LMP2 class. When the third-placed LMP2 car was excluded from the results for a technical infringement, the Murphy prototypes team moved up to sixth in class. Of course, these are the facts. But there's so much more to the Le Mans week. Here's what you don't normally see! At the 2013 edition of the 24 Hours of Le Mans, Karun found himself living in this little campervan. To begin with people always assume that racecar drivers live in luxurious hotels with an entourage to take care of their every whim and fancy. Not at Le Mans, they don't. 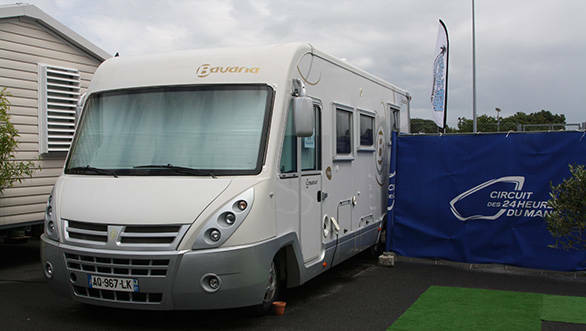 At the 2013 edition of the 24 Hours of Le Mans, Karun found himself living in this little campervan, complete with a bedroom, shower, kitchenette and an additional pull-down bunk bed above the driver's seat. We wish we had better photos of what it looks like from the inside, but every time we tried to take a photograph, we'd either knock something off a shelf, or the camera would refuse to focus. One of the most alluring aspects of Le Mans for fans, other than the fact that it is a 24 hour celebration of the spirit of motorsport itself, is the level of interaction between fans and drivers. If you've managed to procure a paddock pass, all you have to do is hang around near the paddock of your favourite team and you'll definitely be able to snap a photograph with your favourite driver. If you don't happen to have a paddock pass, you can still get driver autographs at the autograph sessions and take a few photographs of them at the driver's parade too. Some autograph requests can be slightly unusual, as Karun found out. Drivers Brendon Hartley, Karun Chandhok and Mark Patterson are proper racecar drivers. But sometimes even they could do with a little bit of luck. 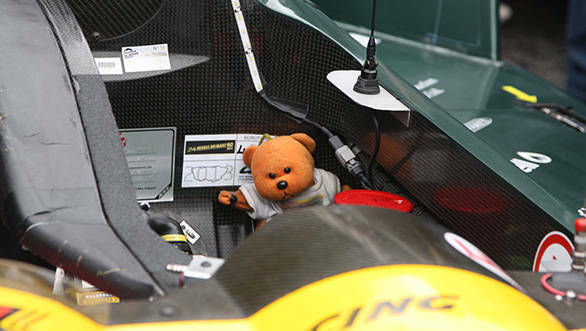 Meet Murphy the Bear - the Murphy Prototypes mascot and overall good luck charm. Apparently, the team puts Murphy into the car every race, and they never fail to finish. It's not very often that you see a driver compete in the graveyard shift at Le Mans, then do another quadruple stint on the Sunday morning, of a race and still emerge from the car looking fresh as a daisy. Well, here's Karun Chandhok, having done exactly that, and still looking like he'd just about been out for a leisurely Sunday drive. Post the race, drivers have to be able to recover the energy they've expended. Karun does this with a protein shake that he mixes up himself in his camper van. After that, we watch as he does the dishes, and packs away everything away neatly, ahead of the drive back to the UK. It's time for him to head back into the pits and celebrate the team's performance with the rest of the crew.